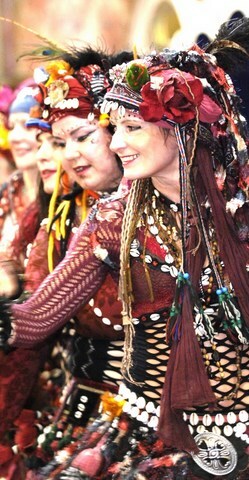 Zehara founder of Urban Gypsies started 2001 with students from her Belly Dance Classes. Evolving a vibrant, energetic style with elements of Belly Dance and African. The groups costumes are Zehara's unique creation inspired by tribal costumes from around the world, nature and using recycled treasured items in creative ways. Provide excellent interactive dance entertainment at Parties and Weddings to get the party started ! Entertainment packages for Nursing Homes and Sheltered Housing. Ideal for a colourful hour of Music and Dance and Singalong Entertainment. 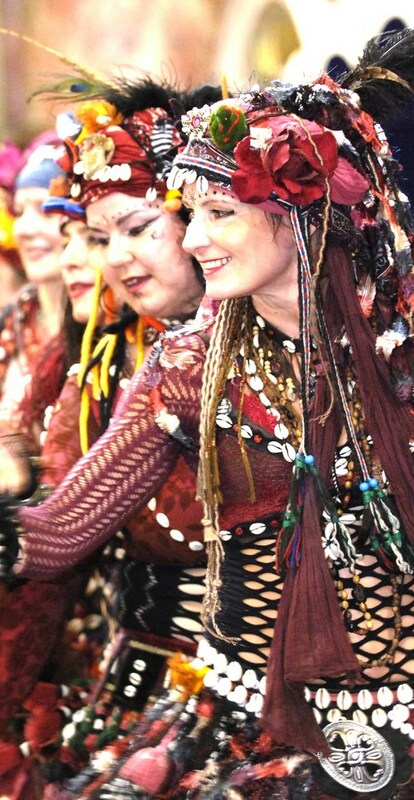 Dance workshops in simple Belly Dance and Hula movement available with Zehara. What can Zehara and her Urban Gypsy group do for you?